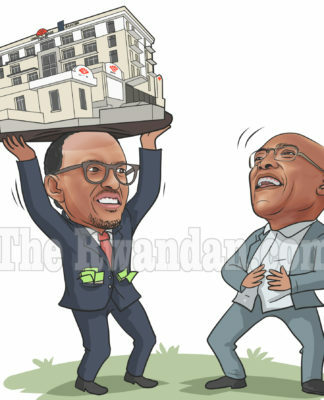 MR GASANA VINCENT, SLURS MRS VICTOIRE INGABIRE UMUHOZA IN A FRANTIC ATTEMPT TO COVER UP THE CRIMES COMMITTED BY THE BELEAGUERED REGIME OF PRESIDENT KAGAME. In the face of growing criticisms of the Rwandan regime, Mr Gasana Vincent, an RPF regime supremacist, indulges in an ad hominem diatribe against Mrs Victoire Ingabire Umuhoza in article he wrote for the KT Press of November 5, 2018 entitled: Victoire Ingabire Umuhoza: Now You Know Her, Now You Don’t. 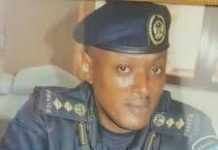 He joins ranks with other RPF supremacists, who include Tom Ndahiro, Dr Bizimana and Andre Twahirwa, in attacking the person of Mrs Victoire Ingabire in a frantic attempt to divert attention from gross violation of human rights and dwindling power base of the regime within the tutsi community and particularly among the survivors of tutsi genocide, following the arrest and imprisonment of the widow and orphans of a high profile tutsi business tycoon, Mr Assinapol Rwigara. 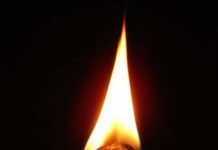 The use of genocide card to discredit Mrs Victoire Ingabire Umuhoza is not out of sympathy for tutsi victims of genocide, or to advance the agenda of “never again”. 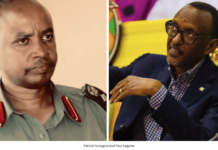 Otherwise Gasana and his colleagues would have raised concerns about the lack of investigation in the suspicious death of the late Assinapol Rwigara, a high profile tutsi survivor of genocide, or the plight of his family. His orphan, Ms Diane Rwigara was barred from standing for elections and later thrown in jail. Her mum was thrown in prison and the family factory which employed many tutsi survivors of genocide has been auctioned. While they attack alleged genocidaires or people with genocide ideology, they dare not mention that the RPF leadership opposed, in its letter of April 30, 1994, an external military intervention to stop genocide while the matter was being discussed at the Security Council. 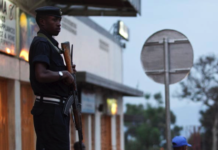 As Human Rights Watch reported “the RPF feared that the force might interfere with its goal of military victory”. 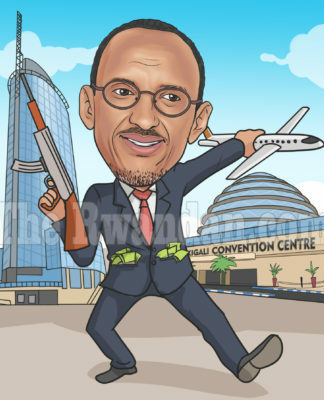 They ignore the fact that the RPF leadership called on foreign troops to leave Rwanda on April 8, 1994, only two days after the start of mass killings of tutsi. They would not like to hear of the revelations that “one week after the start of the genocide Edward Clay, British High Commissioner Kampala, met with the RPF vice-president who was afforded the opportunity to put forth his views on the subject of withdrawal of the United Nations Assistance Mission in Rwanda (UNAMIR) from the country, a subject to be discussed at the following week’s meeting of the Security Council, New York. In his reporting of this meeting, Clay advised London that « the RPF could take care of the current disorder and should be left to do so”. He said that he believed RPF “claim that only they are in a position to stop the massacres is plausible”.The UN security council wanted to change the rules of engagement to be able to fight the killers. 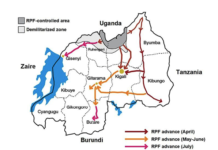 RPF and its allies instead called for the withdrawal of UN troops and hence give the killers to go on rampage against tutsi for another two months because it needed it to justify its fight for total military victory. For these RPF supremacists, they turn justice upside down to please their employer by attacking Mrs Ingabire for her call for equitable justice. The real reason behind accusing Victoire Ingabire of genocide is that calling for equitable justice would dent the moral authority of the RPF regime to rule the country and demanding the opening of the political space threatens its continued grip on power. 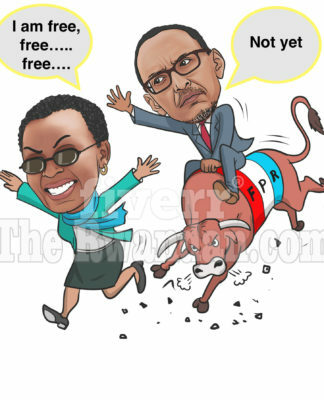 In the same way Ms Diane, a tutsi survivor of genocide and her mum were thrown in prison because their criticism of the regime undermined the myth about the RPF popularity among the tutsi community. Diane wanted to challenge the regime over its failure to deliver on poverty eradication and on freedom of expression and association while the mother accused the regime of being worse than former regime. 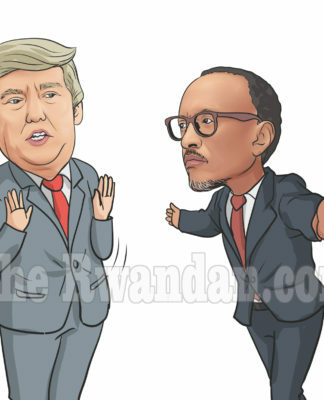 Both are accused among things of inciting the population against the government because they cannot be accused of denying or minimising genocide, As Prof. Filip Reyntjens rightly points out “ the Rwandan regime has used genocide against tutsi as an ideological weapon allowing the RPF to acquire and maintain victim status and to enjoy impunity for its own crimes. 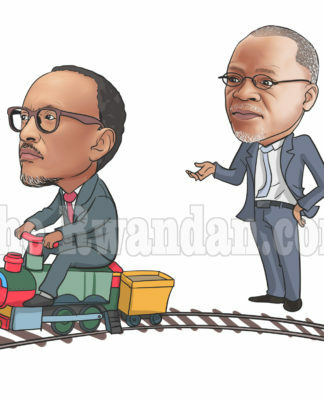 Domestically, the RPF has decreed one single truth and devised instruments (legislation, intimidation, ‘re-education’, silencing alternative voices) to avoid its being challenged, at least publicly”. 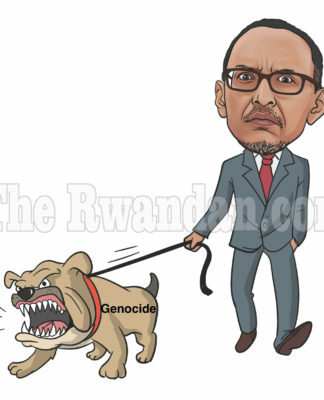 The RPF propagandists have become so blinded by the desire to defend their employer, President Kagame, that they have not hesitated to accuse founders of the RPF who defected, of negationism and inciting the Hutu to commit genocide against tutsi again. 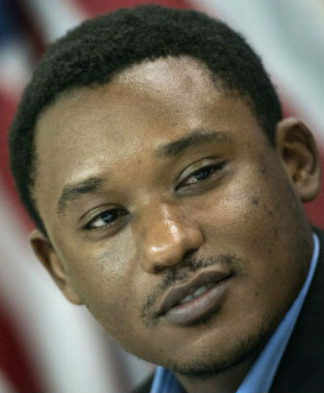 For example, Dr Bizimana Jean Damascene, member of this supremacist group has accused General KAYUMBA NYAMWASA, (former chief of staff and ambassador to India), Dr GAHIMA Gerald, first general prosecutor in the RPF government, the late Colonel KAREGEYA Patrick, former RPF chief spy and Dr RUDASINGWA Théogène, former Secretary General of RPF and Ambassador to Washington, all of them tutsi, of negationism and inciting Hutu to commit genocide against tutsi simply because they made a statement (Rwanda Briefing) in which they condemn, among other things, the marginalisation of the Hutu ( 80% of the population) and called for justice for all, as well as calling for political and social inclusiveness. 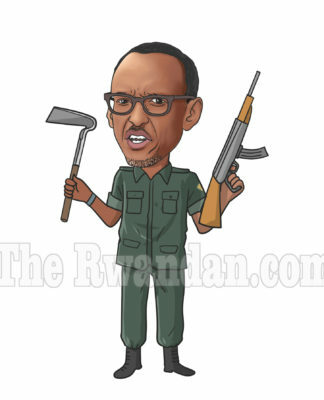 Vincent Gasana, as a journalist, would be aware that General Nyamwasa has escaped three assassination attempts ordered by his employer, President Kagame. 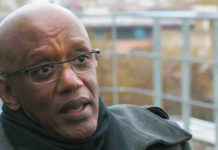 His colleague Colonel Patrick Karegeya, former chief spy was not so lucky. He was strangled in a hotel in South Africa. 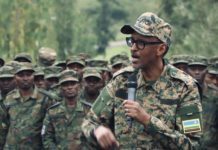 Rwanda is now called” an army with a state rather than a state with an army” because of its policy of “repression across borders”. Mrs Victoire Ingabire Umuhoza is seen as embodying the aspirations of the Hutu and tutsi population seeking equitable justice and an end to gross violation of human rights. The regime fears that she could join hands with people like Ms Diane Rwigara, a tutsi survivor of genocide, in fighting for political change. 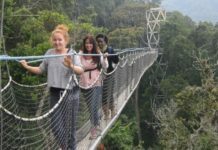 The regime fears the alternative narrative for a reconciled and progressive Rwanda presented by the political platform in which FDU-Inkingi, Mrs Victoire Ingabire political party, is a founder member. It is composed of (Amahoro PC, FDU-Inkingi; PDP Imanzi, PS Imberakuri and RNC). 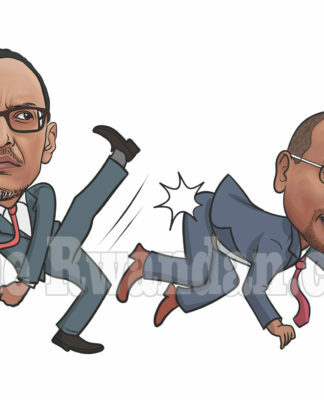 The coalition believes that the cycle of violence in Rwanda is not the outcome of congenital hatreds between the ethnic groups of Rwanda but the exploitation of group grievances by political elite to canvas support for their access to or to maintain power. This is the card that the quartet is trying to use to galvanise tutsi support for the RPF regime. The RPF propagandists don’t mind about poor peasants who would be the first victims of another bloodshed. 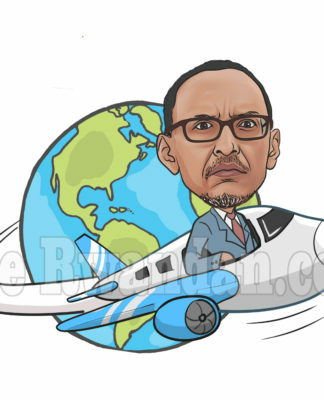 They would probably run back to countries when they have already acquired citizenship. 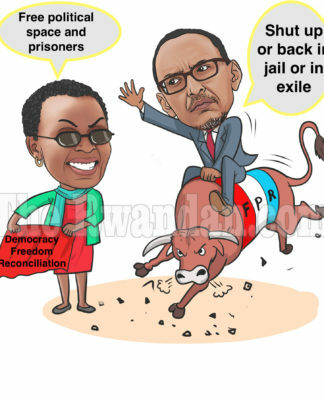 RPF supremacist group of which Vincent is a member has been using ad hominem argumentation to tarnish the image of the key leaders of this coalition including Mrs Victoire Ingabire Umuhoza in order to push them out of the political arena, using laws on genocide. 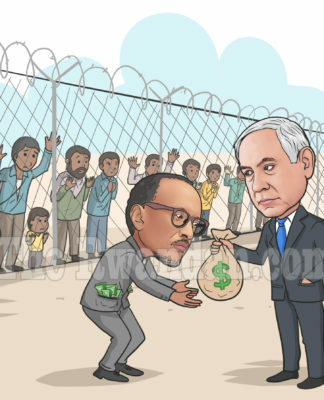 They have tried to rule her out of politics by falsely accusing her of preaching double genocide, denying genocide, minimising genocide, having genocidal ideology, inciting the population against the government etc. etc…. 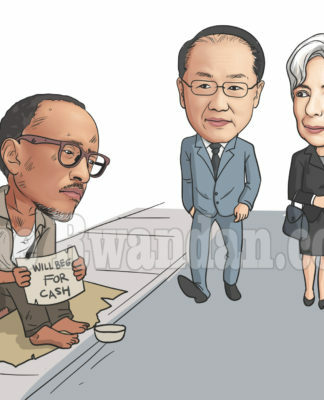 To make an impact, Mr Vincent Gasana tries unashamedly to link her to people or organisations she has never met in her life who are accused of planning genocide against tutsi. He goes so low as to claim that she is inherited genocidal ideology from parents and political colleagues. Mr Vincent is aware that Victoire was cleared of these accusations by the Arusha based African court for human and people’s rights. 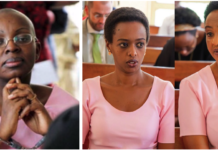 The court ordered the Rwandan government to pay reparations to her because her rights for freedom of expression as a politician had been violated and because she had been denied the rights to proper defence. In other words, Mrs Victoire Ingabire should not be in prison at all and therefore the idea of seeking pardon does not arise. 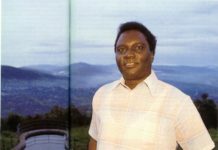 Vincent and his group know that human rights organisations and the media which they criticise for defending her were instrumental in changing the world public opinion against the regime of late President Habyarimana and supporting the RPF cause. 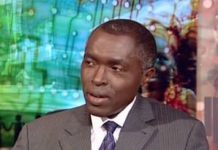 It is quite shocking to hear this group of propagandists dare write or say that calling for the prosecution of tutsi who killed Hutus is tantamount to minimising genocide against tutsi. Mrs Victoire Ingabire is saying what every sensible and rational person would say. She is supported by eminent academicians and human rights activists pointed in their letter to the UN Secretary General, to President Obama and the British Prime Minister Gordon Brown “ To insist on the right to justice for all victims, as did the  UN Commission of Experts, is not to deny the genocide, nor does such an insistence equate war crimes with genocide; it simply asserts that all victims, regardless of their affiliation, regardless of the nature of the crime committed against them, and regardless of the affiliation of the perpetrator, must have equal opportunity to seek redress for the wrongs done them”. Justice in whatever form, even if by mere acknowledgment of guilt is quite vital for national healing. The evidence of the atrocities committed by soldiers of the RPF is well documented and cannot be swept under the carpet by the accusations of Gasana Vincent and his group. Here are some of the evidence. 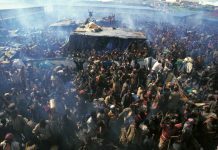 The Byumba stadium massacre in April 1994, in which several thousands of Hutus were brought to a football stadium where RPA military police used guns and grenades to annihilate them. The killing went on all night, according to ex-RPA soldiers stationed inside and outside the stadium. 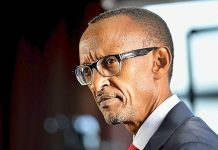 A report by UNHCR Team headed by Robert Gersony estimated that from April to August 1994, the Rwandan Patriotic Front systematically killed between 25,000 and 45,000 Hutus as it made its way toward Kigali.Gersony put forward evidence of what he described as calculated, pre-planned, systematic atrocities and genocide against Hutus by the RPA whose methodology and scale, he concluded, (25000-45,000 massacres) could only have been part of a plan implemented as a policy from the highest echelons of the government. In his view, these were not individual cases of revenge and summary trials but a pre-planned, systematic genocide against the Hutus. 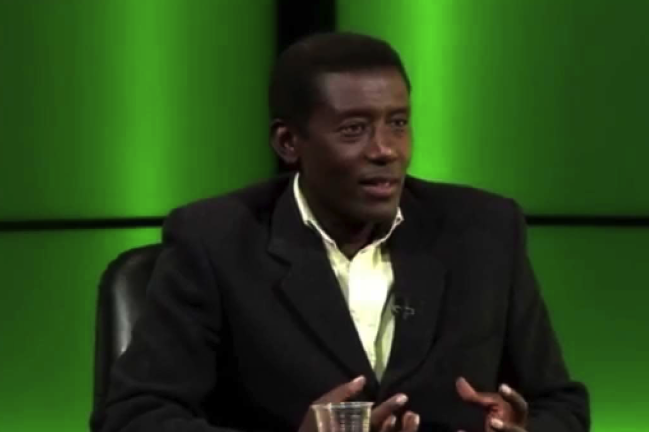 Gersony staked his 25-year reputation on his conclusions which he recognized were diametrically opposite to the assumptions made, so far, by the UN and the international community. 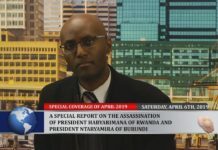 Accepting the explanation of revenge would also exonerate members of Habyarimana presidential guard for killing tutsi suspected of collaboration with the RPF that they believed killed their President. 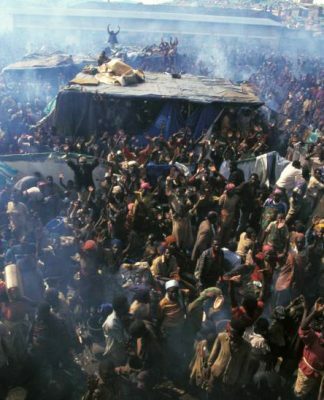 The evidence that the RPF killed in April 1995, almost one year in power, more than 4,000 internally displaced people in Kibeho with the UN troops helplessly looking on. According to Prunier, a thirty- two-member team of the Australian Medical Corps had counted 4,200 corpses at the camp before being stopped by the Rwandan army. 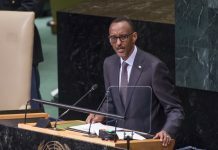 This is the largest single massacre in Rwanda’s history, ordered by the man who demands credit for ending Rwanda’s genocide. The Mapping report of October 1, 2010, by the UN Office of the High Commissioner for Human Rights which published the most serious violations of human rights and international humanitarian law committed in the Democratic Republic of Congo between March 1993 and June 2003 highlighting among other things crimes committed against Rwandan Hutu refugees and Congolese Hutu. According to the report « the apparent systematic and widespread attacks described in this report reveal a number of inculpatory elements that, if proven before a competent court, could be characterized as crimes of genocide. Articles 6.2 & 6.3 of International Criminal Tribunal for Rwanda (ICTR) statutes clearly provides that “the official position of any accused person, whether as Head of state or government or as a responsible government official, shall not relieve such person of criminal responsibility nor mitigate punishment” and of the crime committed by a subordinate if the official knew or had reasons to know about crime and did not “take the necessary and reasonable measures to prevent such acts or to punish the perpetrators thereof”. No RPF official has been prosecuted so far. Amnesty International had this to say about RPF killings after its seizure of power. » In reality, the need to fight ‘the enemy’ may have been used as a pretext for eliminating individuals or whole groups of individuals, whose presence or influence is perceived as political obstacle or threat to those in power ” In other cases, individuals such as local officials and other educated — mainly Hutu — have been assassinated in circumstances which lead Amnesty International to believe that they were targeted specifically because of their social or political position, or even because of their ethnic origin » (Amnesty International: Rwanda, Alarming Resurgence of Killing, 12 August 1996). 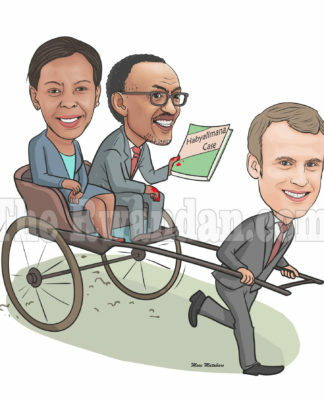 For its part, Amnesty International, Human Rights Watch and the international Federation of Human Rights wrote a letter to the Security Council advising that “justice must be impartial and must be done and seen to be done for all, regardless of who the victims or perpetrators are” and that “true reconciliation in Rwanda can only come about if the rule of law does not discriminate for or against any one”. 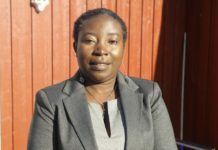 It is beyond belief that Victoire Ingabire Umuhoza, is attacked for calling for accountability over documented massive human rights violations against the Hutu population. To ask her to apologise for saying the truth is irrational. I invite to dispute the above evidence. With regard to her call for the opening of the political space, Mr Vincent Gasana quotes his colleague Dr Tom Ndahiro writing that “she parrots ‘political space’ and she’s taken at her word, but she is no politician, she is a criminal, and you don’t have to look hard to see why”. It is as if this group has the right to decide who to call a politician, who is criminal, what is political space. 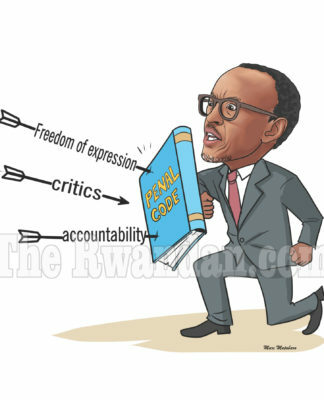 This is what independent, credible organisations and institutions say about political space in Rwanda. 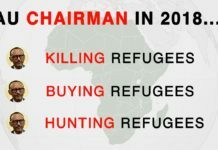 The United States Government, the biggest financial supporter and key ally of Rwanda writes the following in the 2017 human rights country report: arbitrary or unlawful killings; torture;harassment, arrest, and abuse of political opponents, human rights advocates, and individuals perceived to pose a threat to government control and social order; security forces’ disregard for the rule of law; and restrictions on civil liberties; restrictions on the registration and operation of opposition parties, hence denying citizens the ability to change their government through free and fair elections” . 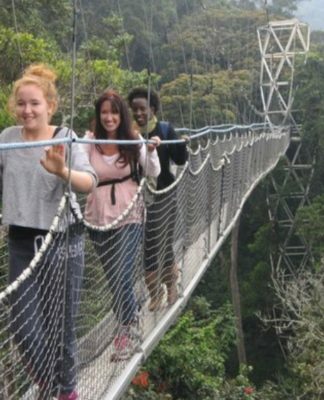 In October 2016, the EU parliament resolution (2016/2910(RSP)”, condemned all forms of repression, intimidation and detention of political activists, journalists and human rights activists by the Rwandan authorities; urged the Rwandan authorities immediately to release all individuals and other activists detained or convicted solely for exercising their rights of freedom of expression, association and peaceful assembly, urged in this respect, the Rwandan authorities to adjust national law in order to guarantee freedom of expression”. Freedom House report 2016 considers Rwanda a non-free country with 8/40 score in terms of political rights. 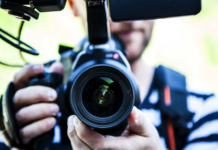 Reporters without Borders 2017 ranks Rwanda as 159 out of 180 countries surveyed, and 46th out of the 54 African countries, behind all its neighbours except Burundi that ranks 160. 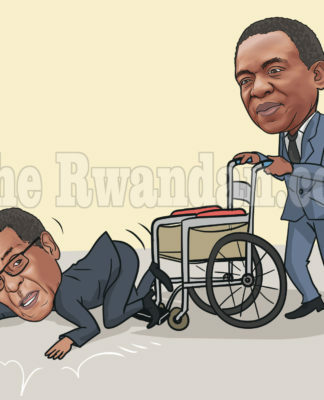 Instead of addressing issues that are of serious concern to Rwandans as well as issues raised by Mrs Ingabire, Mr Gasana and his group rushed into attacking her personally as all sophists do. They concentrate on vulgar issues: her hair, dress and movement when she left prison. They put the icing by linking her indiscriminately to every high-profile figure who was incriminated in Arusha Tribunal for genocide. They do not find the need checking whether the people they are alleging to be her mentors have anything in common between themselves. With regard to her attire, Mr Vincent reports: “smartly attired in clothes clearly designed to reflect her party’s colours and looking for all the world as though she was stepping out of her residence to attend one of Kigali’s smarter cocktail parties, Victoire Ingabire Umuhoza, strode out of the Nyuregenge prison gates, straight to the waiting microphones”. He was probably shocked to see her coming out of prison radiant with moral authority and not distraught, with dignity and not dejected. He was surely saddened to realise her popularity with the media. 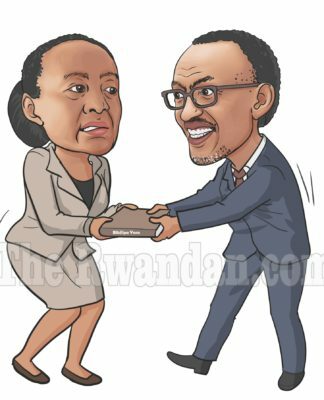 It is quite ridiculous that they accuse her of having been in touch with FDLR, when the Rwandan government can boast of having been in constant contacts with elements of FDLR. The contacts have led to receiving some of the founders of FDLR who have been rewarded with high promotions. 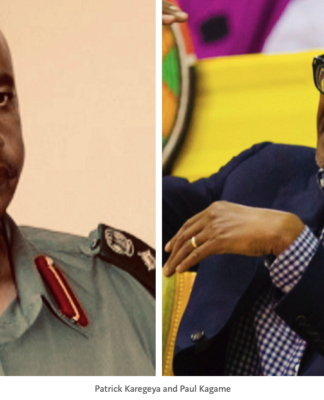 They include: General Rwarakabije; General Ngendahimana Jerome, General Murenzi Evariste (was in the Presidential Guard of the late President Habyarimana); General Karegeya Claudien, Colonel Nzitonda Martin. 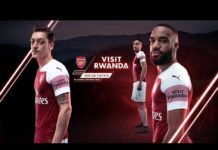 Former interahamwe known to have been involved in acts of genocide receive warm reception by the regime when it suits it. 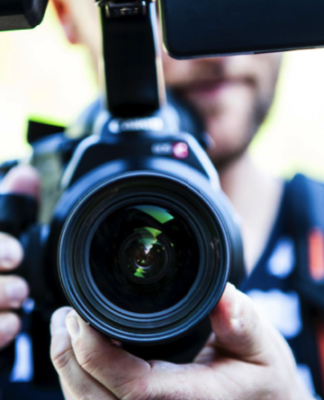 Some of them have become Intore, an organization set up by the regime in order to hunt down critical voices abroad. Mr Vincent and his team sweep this reality under the carpet. 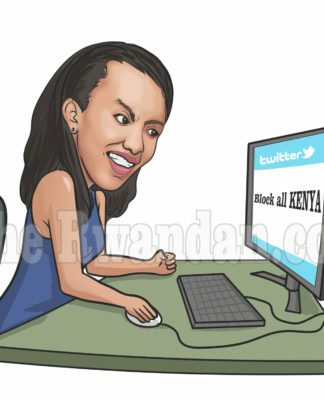 Nonetheless Mr Vincent Gasana made a reasonable comment about Victoire Ingabire where he wrote that: “the charges against her, which included raising funds for a terrorist organisation, and fomenting communal hatred, were dismissed by much of the world out of hand”. 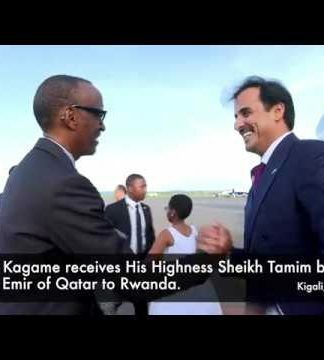 Indeed, who would believe that $1000 that Mrs Victoire Ingabire is alleged to have sent a member of FDLR would fund a war to remove the regime of President Kagame? A quick search on google showed me that an average cost for a quality handgun is around $500, which would have meant two guns without bullets. Unless Victoire can perform miracle and multiply guns. 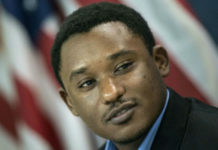 It is morally indefensible for Mr Vincent and his group to glorify a regime that imprisons and takes over the property of widows and orphans on trumped charges and uses a national grief, genocide, to crush those fighting for democracy and justice like Mrs Victoire Ingabire Umuhoza and to invade a neighbouring country, the DRC, leading to what has been termed the first African world war that has cost at least 6 million Congolese lives and an estimated 200, 000 Hutu refugees, the worst humanitarian disaster since the 2nd war. 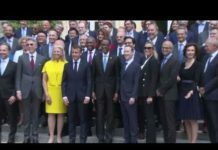 It is quite cynical to note that these guys were sitting on the fence when many families were going through hell and then rushed into the country to proclaim themselves defenders of tutsi victims of genocide. 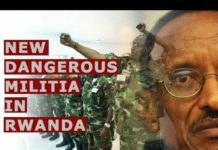 If Mr Vincent Gasana and his friends care about the victims of genocide, they should go for the RPF leadership that opposed the change of the rules of engagement to allow the UN troops in Rwanda to intervene to stop killings, who opposed foreign military intervention to save thousands of lives from April -July, 1994, instead of going for Mrs Ingabire Umuhoza because of her position that” that all victims, regardless of their affiliation, regardless of the nature of the crime committed against them, and regardless of the affiliation of the perpetrator, must have equal opportunity to seek redress for the wrongs done them”. 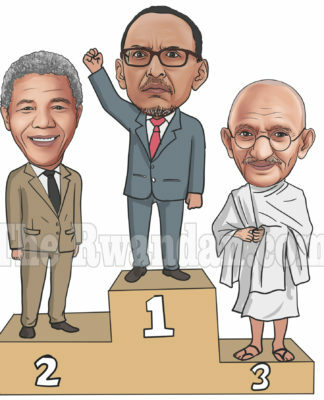 Rwandans should own their history, its bad and good side and work together for a better future. 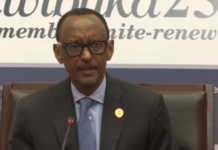 All Rwandans, Hutu, Tutsi and Twa must work together for a reconciled nation. As Martin Luther King said: we must live together as brothers and sisters or die together as fools. 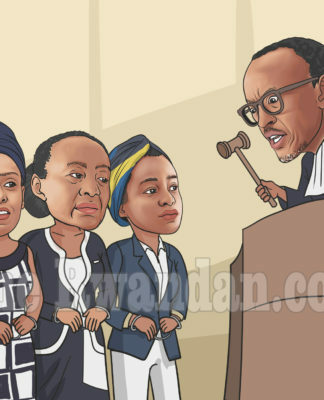 The example of the relations between Mrs Ingabire Umuhoza and Ms Diane Rwigara and between their two families should serve as good role models that we should emulate. This is probably what bothers the witch hunters of alleged genocidaires and fish better in troubled waters.